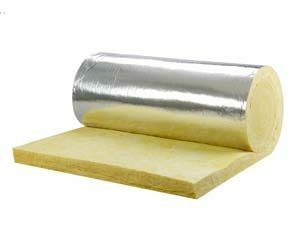 Why Do I Need Insulation Service? Insulation service in Tualatin is an affordable way to save money and reduce electricity usage. The biggest culprit behind heat/cold loss in the home is poor insulation. This is because the temperature is always trying to equalize. A hot outside wants to even out with your cool inside, and vice versa. Insulation is your first line of defense against this. Not only that, but it reduces the associated strain on your HVAC system. 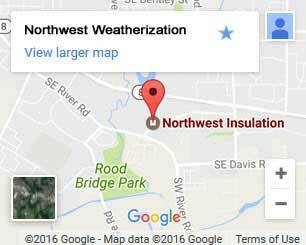 Northwest Weatherization specializes in insulating homes. What are you waiting for? Rebates allow you to recoup as much as 40% of the cost of insulation services! Our certified technicians know which updates offer incentives. We’ll work with you to create an action plan, identify available rebates, and take care of all the local paperwork. Invest in your property with insulation. Taking action now means long-term future savings. You’ll be surprised by all the ways you can save. Reduce the need to heat and cool your home. After we finish with a home insulation service, you’ll use the thermostat less. Insulation makes it easy to maintain the temperature you want. This reduces your reliance on your heating and cooling system. It’s an easy way to cut down on energy use. Extend your HVAC System. Getting the most from your system is only possible if you don’t tax it. HVAC systems aren’t designed to compensate for poor insulation. Lifespan reduction due to overwork can be as high as 10 years. HVAC units are expensive, and making yours last longer with insulation is a bargain. Insulation pays for itself. There’s more than one way to save by insulating your home. We’ll help you take advantage of immediate rebates for instant savings. Our service also pays for itself in as little as 5 years. After that time, every cent saved is a cent earned. Floor Insulation – Basements and sub-floors allow cold air in 24/7. This is worse during cold weather. We use vapor barriers and insulation to protect against multiple threats including heat loss and moisture damage. Get properly insulated from the ground up. Wall Insulation – Walls are the biggest cause of heat loss. They also have the largest surface area in your home. We use spray-in insulation. This forms around piping, electrical boxes, and other areas. It doesn’t settle, mold, or mildew. This makes it ideal for long-term use. Air Sealing – Duct sealing is critical. Poorly sealed ducts leak air. This causes a loss in efficiency and adds to your energy bill. It also allows contaminated air to enter your home. You could be breathing in dust, allergens, animal waste, and worse. We stop the air leakage and protect your health. Window Insulation – Insulating your windows is a great defense against noise pollution and heat loss. Newer windows do this extremely well and add UV protection. Keep warm air inside where it belongs and the cold at bay. We always check your current windows before making recommendations. 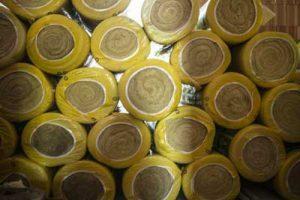 Insulate your Tualatin home. A more comfortable home that saves you money is just a phone call away. Call or contact us and schedule your free home energy audit to find out how much you can save.